Have you ever had someone suggest some kind of food and then you start craving it? All it took for me was two words “Dunkin’ Donuts.” The power of suggestion is strong and I can’t seem to get my mind off of them. Donuts are not on my diet but my sweet tooth wants one so badly. I had to find a way to satisfy this craving and soon. Luckily National Donut Day is coming on Friday, June 1, 2018. So lets get our planners ready to remind us to spurge a little and let our planners have the sweetness. Just to tempt you even further; Dunkin’ Donuts is offering a free donut on that special day. Click here for more information. 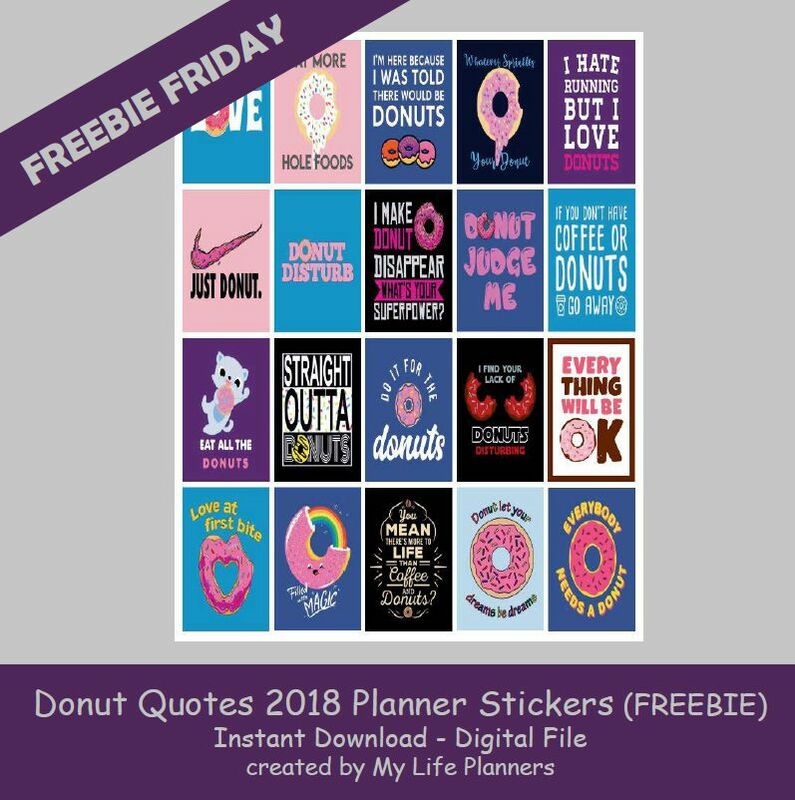 In case you missed Donuts Quotes 2017 Planner Stickers you can revisit and download them from here.